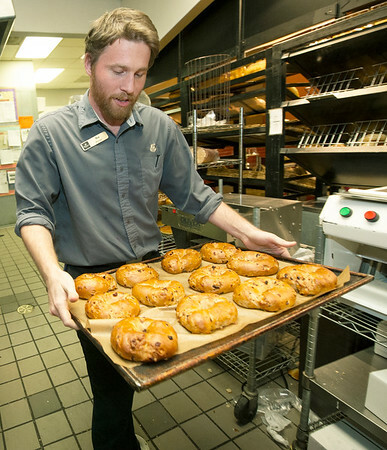 Panera Bread Company manager Max Barnett transports a tray of bagels on Thursday at the Joplin store. His crew has repeated as national champions in the company's Pink Ribbon Bagel campaign, besting second place Fort Smith, Ark. for the title.